Bar Lavalle is near Callao and Corrientes. To few blocks to Plaza de Mayo, the Obelisco, and the ColÃ³n Theater. Privileged witness of historical occurring of the Argentina of twentieth century. Bar Lavalle Resto is located near Plaza de Mayo, right downtown and in one of the porteÃ±o traditional districts, San Nicolas. 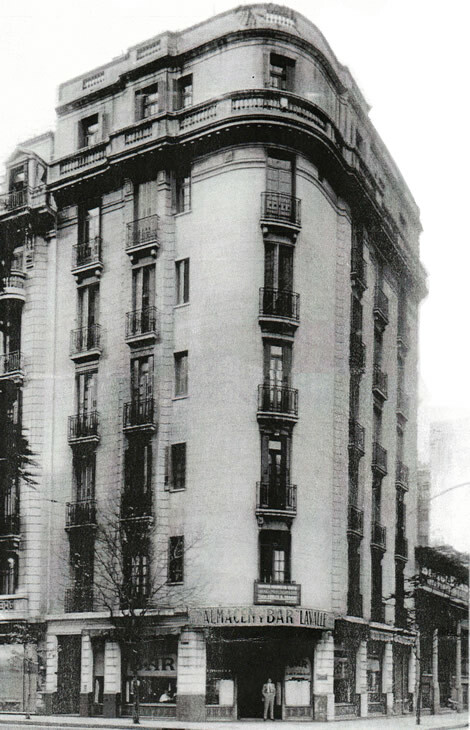 The zone adopted the name of the church in which the national flag was hoisted for the first time, in Buenos Aires. It was built in 1773 and was demolished for the construction of the Obelisco in 1933. At the moment the Church of San Nicolas de Bari rises on Santa Fe Ave. 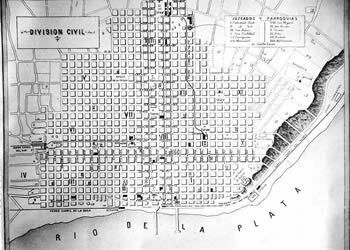 The fields around Bar Lavalle, and it itself at , Lavalle 1693, corner Rodriguez PeÃ±a was inhabited from the times of the Colony, when the Lavalle Street was called Santa Teresa and Rodriguez PeÃ±a, of the Guarantees. 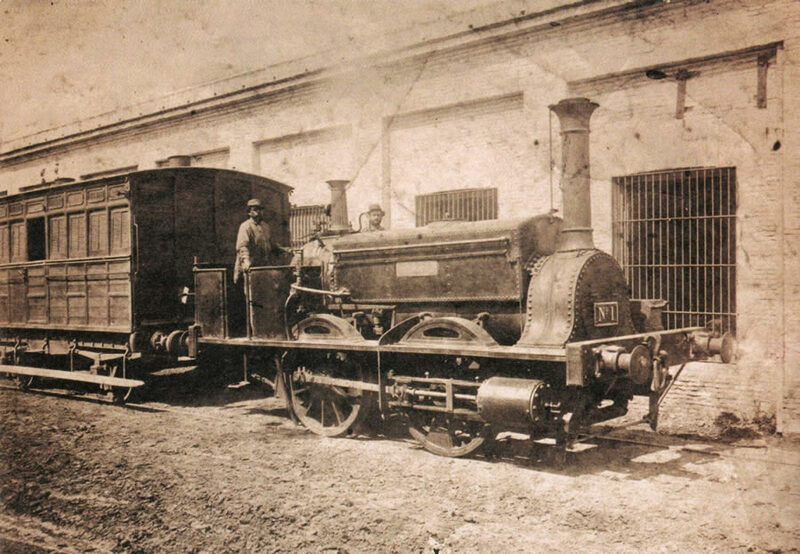 Towards 1820, the President of the Country, Bernardino Rivadavia had drawn up the circumvallation of the city throughout the Way of the Tunas, nowadays Callao Ave.
Where we can find now the Teatro ColÃ³n, was the Station of the Park from which left, in 1857, the first train of the Argentina, dragged by the famous locomotive La PorteÃ±a. In its route, this train happened to pass in front of the fields where was going to be built Bar Lavalle. The artist Florencio Molina Campos, famous by his rustic scenes, was born in 1891, in the fields of the Bar Lavalle, when this place was the house of his maternal grandparents. The small one was baptized in the old Church of San Nicolas and concurred to the schools of the zone: Lasalle, El Salvador and Nacional Buenos Aires. 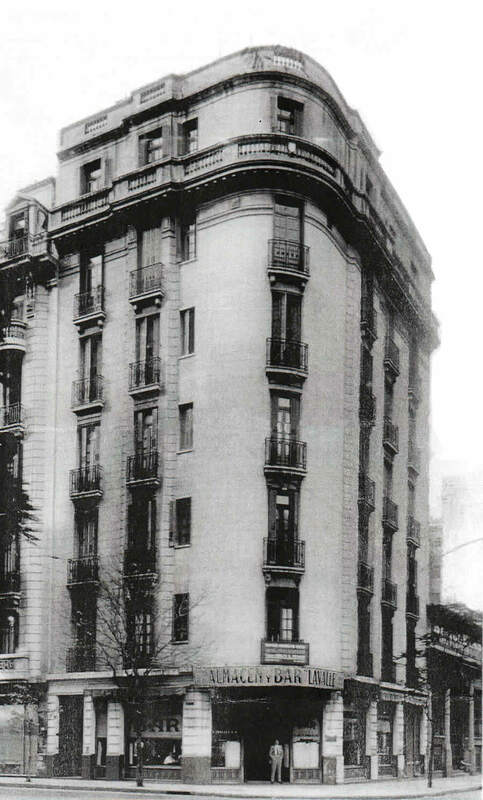 Between years 1909 and 1912 , the old construction of the family Campos was hired for the City Government to the just created Normal School NÂ°6, annexed of the Normal School NÂ°1 of Professors of the Capital, that already worked in Av. Cordoba 1951. Finally, towards 1925 the old construction is demolished and before 1930, the actual six floor building was built. From then, the ground floor was occupied for the Bar Lavalle and destined to coffee and food shop. 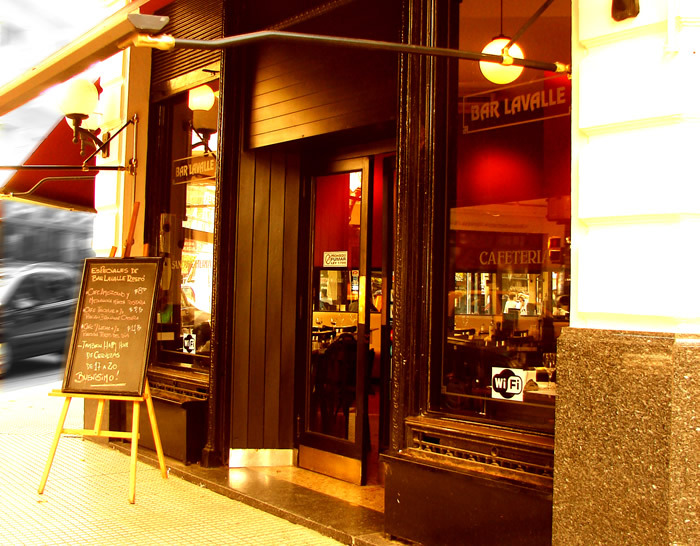 Since then the Bar Lavalle, this traditional Buenosairean cafÃ©, has worked in uninterrupted form to the present time becoming witness of the citizen life and the more important historical events of the Argentina of twentieth century. 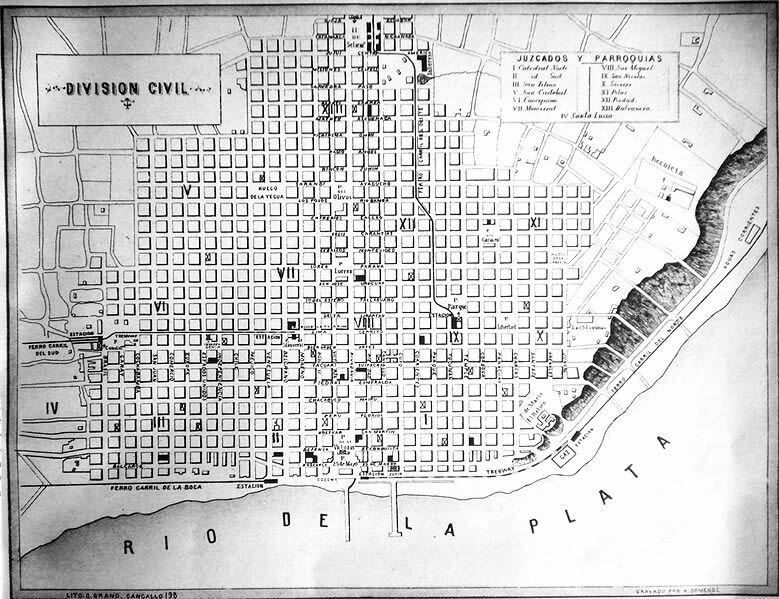 Map of the civil division of the city of Buenos Aires done by NicolÃ¡s Grondona in 1870, edited by the newspaper La NaciÃ³n to celebrate 100 years of its foundation. Buenos Aires, January 4, 1970. 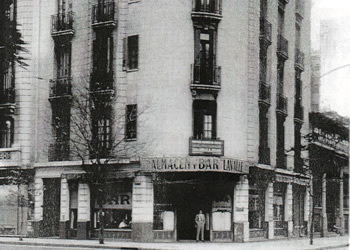 Bar Lavalle corner in 1930.